CONFIT DE PROVENCE, Alimentatie dietetica si biologica, Conserve de fructe si dulceturi, diet jams, pe EUROPAGES. 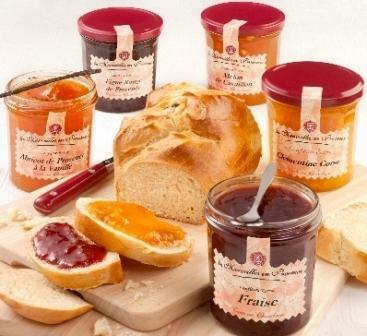 Manufacturer of organic, diet, low-sugar and Provençal jams. With original branding or own branding for regional, national and international brands, in supermarkets and hypermarkets as well as specialised chains. At our site in Puyricard we produce approximately 20, 000 jars a day and 1, 500 tonnes per year. Traditional jam preparation and cooking methods. We also offer a range of condiments called "Les Confits Gourmands". Showing at SIAL in Paris.